I've gone to the movie theater three times during the last week. Two-thirds of it was a simple case of having a four-day weekend with the Thanksgiving holiday, and nothing much else to do. I also visited a couple bookstores and made a few purchases in that line, but I'll save that bit for later. Last Tuesday, I decided to try out the $5 movie deal (with free popcorn!) at one of the local theaters - by which I mean, all the way around to the other side of the Lake of the Ozarks. I went with an open mind as to whether to see Coco, Wonder, or Murder on the Orient Express. Due in part to how the showtimes fell out, and partly on the advice of the ticket seller, I went with the murder movie. 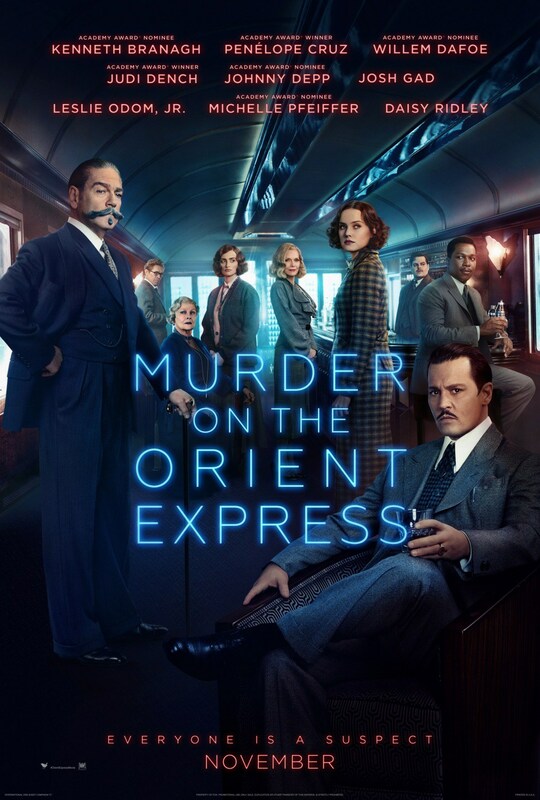 Directed by and starring Kenneth Branagh as Belgian detective Hercule Poirot, it is based on the classic Agatha Christie mystery, which I read in about eighth grade. It also stars Derek Jacobi ("Father Cadfael" of TV's Mystery) as the victim's valet, Josh Gad ("Olaf" in Frozen) as the victim's man-of-business, Judi Dench ("Elizabeth I" in Shakespeare in Love) as a Russian princess, Michelle Pfeiffer (I think you know) as an American widow on the hunt for Husband No. 3, Willem Dafoe (Max Schreck in "Shadow of the Vampire") as a racist Austrian professor, Penélope Cruz ("Vicky Cristina Barcelona") as a deeply religious passenger, Daisy Ridley ("Rey" in Star Wars: The Force Awakens) as a governess, Leslie Odom Jr. ("Aaron Burr" in Broadway's Hamilton) as a young black doctor, and Johnny Depp in an unusual turn as the heavy, who also turns out to be the murder victim. This is at least the third time the story has been filmed, counting a 2001 made-for-TV movie (which I haven't seen) starring Alfred Molina as Poirot, Peter Strauss as the murder victim, and Leslie Caron and Meredith Baxter as two of the suspects. I have, however, seen the 1974 theatrical film, for which Ingrid Bergman won a late-in-her-career, best-supporting-actress Oscar as the German lady's maid. It also featured Albert Finney as Poirot, Richard Widmark as the victim, and an all-star cast of suspects including Sean Connery, Wendy Hiller, Martin Balsam, Lauren Bacall, John Gielgud, Jacqueline Bisset, Anthony Perkins, Vanessa Redgrave, and Michael York. It's been ages since I've seen this film, but in spite of the impression the above cast list gives of a too-earnest, high-production-value bore of a film, I remember it as being basically an effective movie. The present-day addition to the novel's roster of film adaptations tops all, I guess, by putting superb performances ahead of casting stunts, and by opening up the action a bit with some scenes more of the thriller variety than the source material really called for. Perhaps this dissipates the claustrophobia somewhat. But it doesn't taint the essential chemistry of a classic Agatha Christie whodunit, of the type that subverts the whodunit concept while at the same time bringing to perfection the idea "One of the 12 people in [insert isolated setting] could have done this, and after Poirot interviews each of them, he will presently amuse the whole group with an exquisitely timed revelation of who it was." At her best, Christie often experimented with subverting this concept and carrying it to its extreme at one blow. In The Mousetrap, for example [SPOILERS AHEAD], in which all the suspects are snowed in together at a boardinghouse, she had the sleuth (not Poirot) turn out to be the murderer. In Death in the Air, in which the murder takes place on board an airplane in flight, the passenger who eventually proves guilty is the one who has been assisting Poirot throughout his investigation. In The Man in the Brown Suit, partly narrated via the diary of a passenger on board the ship where the murder takes place, we learn at the end that the diarist has not only done the crime, but also lied to his own diary and thereby, also, deceived us all along. In Curtain, one of Christie's many "someone spending the weekend at Lady ____'s summerhouse must have done its," each crime was actually carried out by a different perpetrator, one of whom in fact was Poirot himself - while the true fiend behind all the murders didn't technically kill anyone. In And Then There Were None, a.k.a. Ten Little Indians (let's all try to forget the original title was Ten Little N*****s), the entire cast of characters, one of whom must be (and, in fact, is) the killer, dies one by one until literally none are left alive; the puzzle is which of the victims pulled it off, and how he or she managed to do some of the crimes while apparently dead. But it would be hard to top this masterpiece, perhaps the most-filmed bit of Christie, in which the fussy, mustachioed Belgian is forced to suspect each and every one of his fellow passengers on a train from Istanbul to Calais that has become stranded by an avalanche in the Carpathian Mountains. Of course, if you read the book and/or saw the 1974 and/or 2001 movie adaptations of it, you'll already know the humdinger that awaits at the end of this movie. This remark more or less gives away what I think of the movie. It is beautifully photographed, and good use is made of camera angles (such as the straight-down-from-above dolly shot at the discovery of the body), and the acting, as I said, is superb; but attempting to "open up" this story is a bad idea, I think. Although there is a an undeniable triteness in the concept of a mystery in which all the suspects are stuck together in one place until the detective is at leisure to tell them which one (or more) of them done it, its advantage in this particular story is the sense of claustrophobia, with all these people (including, presumably, a killer) crammed together in one train car while awaiting the arrival of a work crew to dig them out of the snow. I thought Branagh's efforts to move some of the drama outside the train let a good deal of that tension out as well. So, all that needs to be added are my overall score for the movie (B+) and the Three Scenes That Made It For Me: (1) Any time the obsessive-compulsive Poirot tells someone, "Please, straighten your tie"; (2) The scene in which Poirot "divides and conquers" the witnesses, by interrogating the German lady's maid, in front of her Russian mistress, in German; and (3) The crisis of all the movie's suspense, in which Poirot suggests that he cannot be allowed to live with the knowledge of who done it. In place of claustrophobia, the movie leaves behind a lingering impression of a tragic conflict in the conscience of a man who, earlier in the movie, flatly stated that he sees good and evil strictly in black and white. My second movie of the week was a Friday matinee of Wonder. This was a Walden Media film (among other production companies), which is a dead giveaway that it was based on a piece of children's literature - in this case, a middle-school-appropriate novel with the same title by R.J. Palacio. I haven't read the book yet, chiefly because I haven't seen it offered for sale in paperback form, and my budget does not permit me to buy hardcovers. This isn't quite the place to mention it, but I've often been miffed in recent years by the tendency of certain books - often ones that are "soon to be a major motion picture" - to stay in hardcover for years and years, when that price point is an impediment to me buying the book. The results have sometimes worked to my advantage, such as when I saw the movie Hugo and decided its perpetually hardcover source book The Invention of Hugo Cabret could not possibly be anything special; I decided this was merciful, since even a full-prize movie ticket is cheaper than a hardcover novel, and the film takes less time to get through. I think it is also good for my opinion of a movie to see it either before reading the book it is based on, or so long afterward that I can't make a finely detailed comparison. This order of battle promotes doing full justice to the movie on its own terms. So, without regret, I saw this movie without having read the book. I'm so over the "must read the book before I see the movie" phase of my existence; but seeing this movie may, in fact, sell me on reading the book, as soon as I can get around the problem of hardcover pricing. It was a well-structured, beautifully shot and acted, and most importantly of all, heart-touchingly well-written movie. I did not suffer from dry eyes while watching it. In fact, if tears are good for the complexion, my face benefited greatly from it. 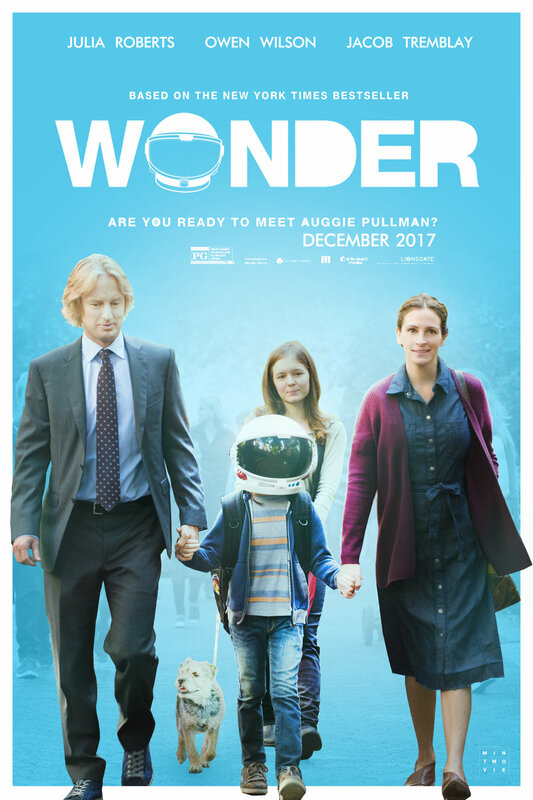 Julia Roberts and Owen Wilson were an endearing yet believable any-couple who have given their all for their son during his first 10 years of life - a boy named Auggie Pullman, who has been disfigured since birth by a genetic condition, and even after many plastic surgeries, is still a bit shocking to look at, the first time anyway. They've home-schooled him until now, but as he enters fifth grade, they decide to let him try going to a real school - though Auggie isn't quite sure. Predictably, he struggles at first with bullying, has trouble making (and in one instance, keeping) friends, and does not at all times show heroic courage. 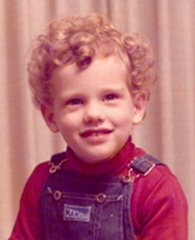 But the other characters around him - including his lonely older sister, her sometime best friend, and other kids at Auggie's school - have stories of their own that, when revealed, make your heart go out to them. And the heart that proves to matter, the center of the healing and change in the way people see (to regurgitate the movie's best line), is Auggie himself. This is a completely lovely, lovable movie that I would recommend to everybody - a solid A grade. The Three Scenes That Made It For Me are: (1) Auggie's principal, played by Mandy Patinkin, telling the awful mother of the hero boy's most antagonistic classmate, "Auggie can't change the way he looks, so I guess it's up to us to change the way we see." Jeez. I'm choked up right now. (2) The scene in which Auggie's ex-best friend works out a clue about what caused he hero boy to stop talking to him - you can see the moment when the penny drops, and the life just goes out of the kid. (3) The two buddies making up, after an alienation that has visibly broken both their hearts, via Minecraft instant messaging. 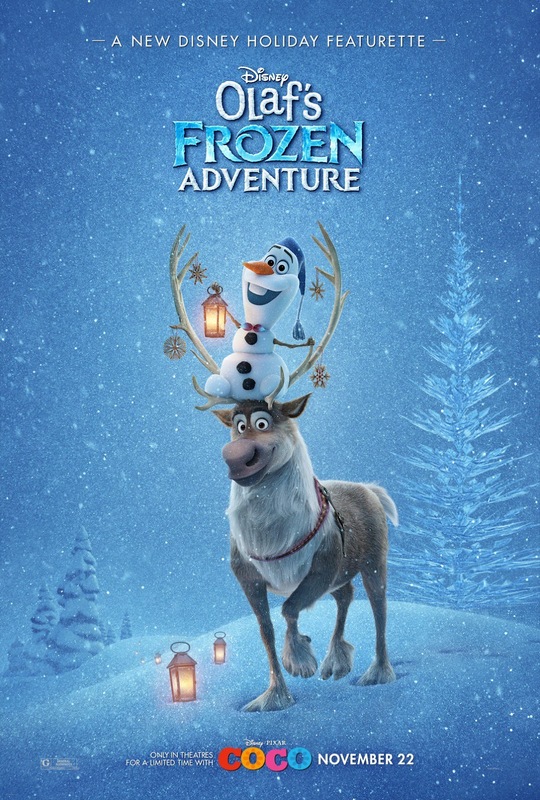 Today's main attraction was preceded by a Disney animated short titled Olaf's Frozen Adventure, featuring the voice of Josh Gad (whom I saw earlier this week in Murder on the Orient Express) as the titular enchanted snowman. I knew who Olaf was before I saw this short, because he is so popular with kids that I couldn't help picking up on it, even though I don't have any kids of my own, and also - please, don't hurt me - I have never seen Frozen. Main cast members from that movie returning in this short include Idina Menzel, who (I think) became a household name because of Frozen though I can't recall ever seeing anything she was credited in; Jonathan Groff, who has a regular role in TV's Mindhunter, which I want to see sometime, but other than that I've never seen anything he was credited in; Kristen Bell, who headlined TV's Veronica Mars (which I never saw) and played Christina Aguilera's bitchy rival in Burlesque - finally! something I have seen! - and, of course, Gad, who I would never have spotted as the voice-actor who played Louis the mole-hog in Ice Age: Continental Drift. I'm seriously out of touch with pop culture, when my best chance at recognizing these stars - and they are stars, make no mistake - is a tie between a lip-sync diva in a musical that tanked critically and commercially, and the voice of a nebbishy animated rodent in an ensemble-cast animated sequel. Also, I don't know anything about the story that is, apparently, required viewing to understand this short. So, I didn't really understand this short. It probably isn't fair in me to give it a grade, but it had some touching moments, a good deal of comedy, and several showy musical numbers, so for whatever it's worth, I'll give it a B. It went by too fast for me to assign it a full Three Scenes That Made It For Me, so I'll mention just one: anything that had to do with the fruitcake. The main attraction, of course, was Disney's latest animated feature, the Mexican Day of the Dead-themed Coco, which I've been hot to see since the first preview I saw of it; and that seems like a couple years ago. 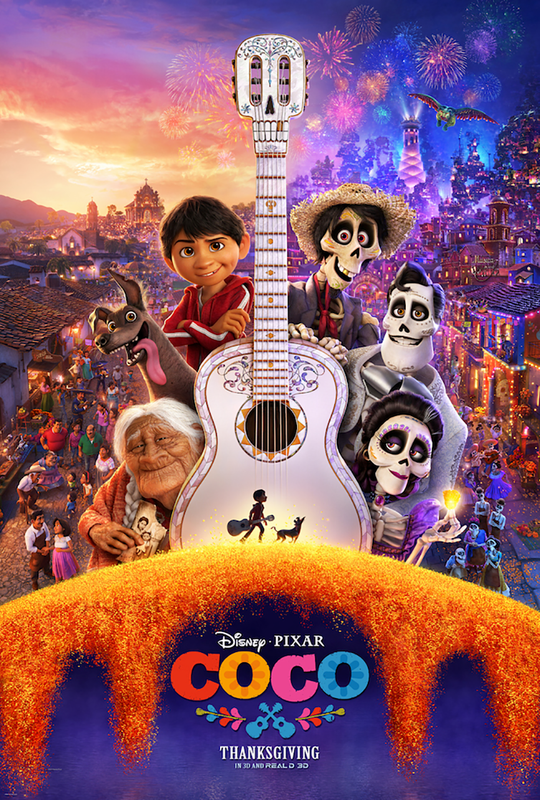 Animated by Pixar, which is now part of Disney, it follows the adventures of a boy named Miguel, who wants to be a musician like his no-good, never-to-be-spoken-of great-great-grandfather, but whose family has rejected everything to do with music since that dishonored ancestor abandoned his family to pursue his dream. Miguel resists his family's demand that he put thoughts of music out of his head, and runs away to the land of the dead (long story; see the movie for more details), in defiance of his loved ones, both living and dead. He and a Xoloitzcuintli named Dante have until sunrise of the Day of the Dead to obtain the blessing of the spirit of the popular singer he believes to be his great-great-grandfather. Pay no attention to the way I phrased that. It's totally not a spoiler. Oh, crap. I don't know how to finish this synposis now. Well, anyway, the idea underlying the movie is that, on the Day of the Dead, the spirits of deceased Mexican folks can cross the flower bridge from the land of the dead tot he land of the living, and visit their non-deceased loved ones, provided the latter have set up an ofrenda (I spelled it right; don't expect me to define it as well) with their photograph on it and little gifts they might enjoy taking back to the spirit world with them. Apparently, all these ghosts and skeletons are not supposed to be scary at all, but a comforting ritual of being together with loved ones who have passed on. From the point of view of the dead, however, it is crucial that someone put their picture up, or they can't get across. Also, bygone relatives need their families to preserve their memory by telling stories about them to later generations; otherwise, the dead will fade out of the land of the living, something they call "the last death." And finally, there's some business with spirit guides, called alebrijes, sort of like winged animals in psychedelic colors, who guide the dead to the afterlife; and there is the trouble that when a living person, like Miguel, visits the land of the dead, he can only return with the blessing of his loved ones - but he must do so by sunrise, and he must meet all the conditions they may put on that blessing. Boring as all that information is, it's better than having all the surprises of this story spoiled for you. Be it enough that all the drama and excitement of this story comes out of those principles, accompanied by Mexican-flavored song-and-dance numbers, chase scenes, gags, action, suspense, and family drama featuring a cast of really cute characters (many of them appearing as animated skeletons). Just to be mean, I won't even tell you why the movie's title is Coco. I strongly recommend seeing it. It's a wonderfully realized piece of original storytelling, with adorable characters who run the whole gamut of emotions, gorgeous imagery, entertaining music, and an immersive fantasy world with a unique texture and look. It's the kind of movie that, without saying a single word to suggest it, will leave you thinking, "Forget Trump's wall. Our country could stand to be more Mexican." On a related note, you can't watch this movie without learning (or at least re-learning) a few Mexican words, like "abuelita" (grandma) and "mijo" (my son). Final grade: A. Three Scenes That Made It For Me, leaving aside examples that will necessarily spoil the whole flick: (1) The scene when Mama Imelda (the spirit of Miguel's great-great-grandma), thwarted in her pursuit by a gate across a narrow passage, momentarily checks the boy's flight by starting to sing; I thought this was the most heartbreaking point in the story of Miguel's alienation from his music-hating family. (2) The scene in which the old ghost who is about to fade away, forgotten, requests a song played by the sketchy spirit Héctor (voiced by Benjamin Bratt, late of "Law and Order"). I think this was the first of many moments in this movie that had me choked up. (3) The scene in which Miguel, serenading his supposed great-grand-father (voiced by Gael García Bernal) in the middle of a crowded party, walks strumming and singing straight into a guitar-shaped swimming pool. I could name a lot more examples, actually, but I thought that third one was one of the movie's funniest surprises. There are a lot more, of course. It is such a strange movie, in which the expected is a thing rarely seen or heard. Question: Which movie that I saw this past week do I think was best? Answer: I don't know. It's between Coco and Wonder, to be sure. But they were both excellent, feasts for the heart and soul. I suppose on a surface level, which speaks very much to the question of which film was more successful, it is Coco that makes the greatest impression on one's eyes and ears. But I'm not ruling out the possibility that Wonder's more down-to-earth story doesn't pack enough emotional power to even it up. I was particularly cut to my heart by the scene in which Auggie overheard his buddy talking trash about him (recalled by his buddy later in my #2 scene); I can remember witnessing, and even experiencing, heartbreaks like that at about Auggie's age. Finally, what did I buy at the bookstores over yonder? At the Osage Beach Outlet Mall's Publishers Warehouse store, I bought Libba Bray's The Diviners and its sequel Lair of Dreams, both in quality paperback format and at 60 percent off, so my total purchase cost just $10 and change. Then, at Stonecrest Book and Toy, I picked up Invasion by Luke Rhinehart, which I started to read last night with great anticipation. Unfortunately, my reading enjoyment has been somewhat dampened by the high concentration of Social Justice Warrior bull**** the author saw fit to pour into it. When you read my review of it, coming soon, I expect you to appreciate how firmly I plan to restrain myself. Planning to restrain myself is already taking a lot of energy, and I haven't even finished the book yet. Fish out.